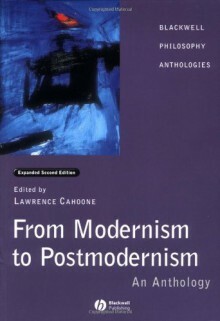 This revised and expanded second edition of Cahoone's classic anthology provides an unparalleled collection of the essential readings in modernism and postmodernism.Places contemporary debate in the context of the criticism of modernity since the seventeenth century. Chronologically and thematically arranged. Indispensable and multidisciplinary resource in philosophy, literature, cultural studies, social theory, and religious studies.